Sougo is back asleep and in 2121 just as Rento has now turned into a human-hunting Humanoise. Rento as Kikai chases after Sougo and completely pummels him. Back in 2019, ShiroWoz serves Geiz and Tsukuyomi some dinner and when they remain silent, decides to leave them to enjoy their food in peace. Tsukuyomi asks why Geiz continues to rely on Sougo. Geiz asks why Tsukuyomi trusts ShiroWoz now. She says Geiz is no match for Zi-O, so they have no choice. On the other side of town, Heure struggles to understand why he was turned into Another Kikai. Ora asks to meet with ShiroWoz who insists Another Kikai is from Sougo’s dream. ShiroWoz senses there’s something else Ora wants to say and tells her to spit it out. Back in 2121, Marco, the lead boy of Rento’s friends, wakes up Sougo up to make sure he’s alright. Marco wants to look for Rento, but Sougo tells him about Rento’s machine mind being rewritten. Marco says Rento was originally a Humanoise machine, but he became their friend. Sougo thinks about his friends, Geiz and Tsukuyomi. Just then, Geiz wakes Sougo up because they have visitors. They head into the shop where Tsukuyomi, ShiroWoz and Ora are waiting. Uncle Junichiro heads to the kitchen to get some coffee. ShiroWoz explains Ora came crying to him for help to save Heure-kun. 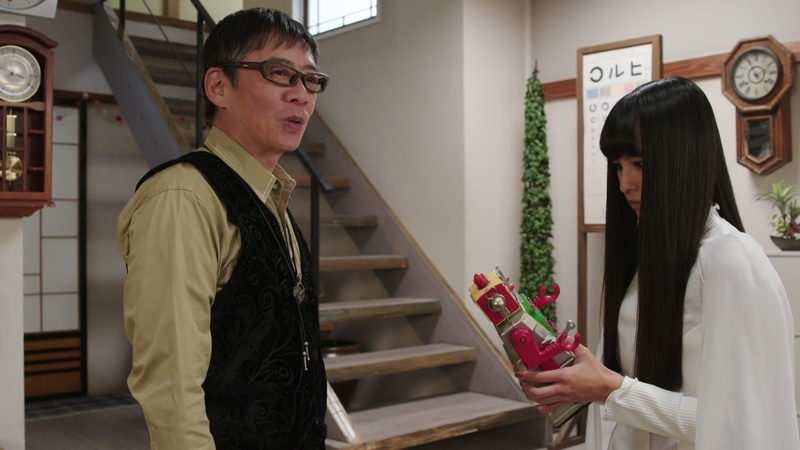 She adds that Schwartz is just using Heure as a puppet to obtain the Kikai Watch. Geiz points out how absurd it is that they would help their enemy. But Sougo says it just might work since they can work together to defeat the Another Rider. Later, Sougo goes back to sleep and to 2121. He and the kids arrive at where the radio transmission is originating from. But it turns out the ones broadcasting are Humanoise laying a trap. Sougo henshins to Zi-O II and takes care of the Humanoise. Rento hops in and grabs Marco’s neck. But Sougo is able to lure Rento away and they battle. Sougo delivers a Twice Time Break at Rento and that seems to shut him down. In 2019, Tsukuyomi is the only one left when Uncle Junichiro comes out with coffee. He is glad she’s back, but she says she and Geiz have to leave. She thanks him for everything. Uncle Junichiro says he’s the one who wants to thank them because Sougo has been much happier since they’ve arrived. Uncle Junichiro explains that Sougo never really had any friends since he was a kid, especially with the king talk, except for the toy robot. So seeing Sougo having fun with friends his own age makes Uncle Junichiro happy as well. Tsukuyomi looks at the robot and sees “Will be the king” written on the back. In 2121, Sougo finds Marco and the kids hiding, but alright. Marco seems to accept Rento is just a machine now. Sougo says he too is fighting with his friends now. But he still believes they can be friends. So Marco-tachi should also believe in Rento as well. Marco says indeed, “Will be the BFF.” He says that is Rento’s favorite phrase, meaning they will be best friends forever. Sougo wakes up in 2019 and realizes that “Will be the BFF” must be Another Kikai’s password to allow them to shut it down. He hurries out. 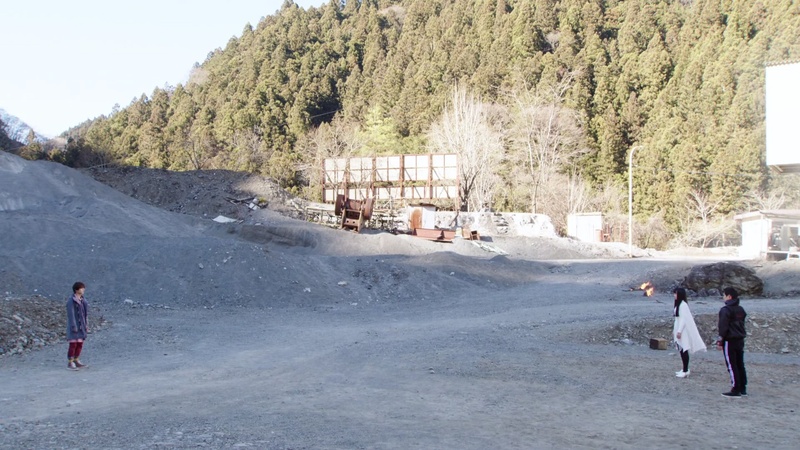 Sougo, Geiz and ShiroWoz wait at the quarry for Heure who comes stumbling in. He immediately morphs into Another Kikai and the three all henshin. Ora resumes time, but the password is incorrect. Another Kikai Heure slams Sougo back. But Geiz hesitates. 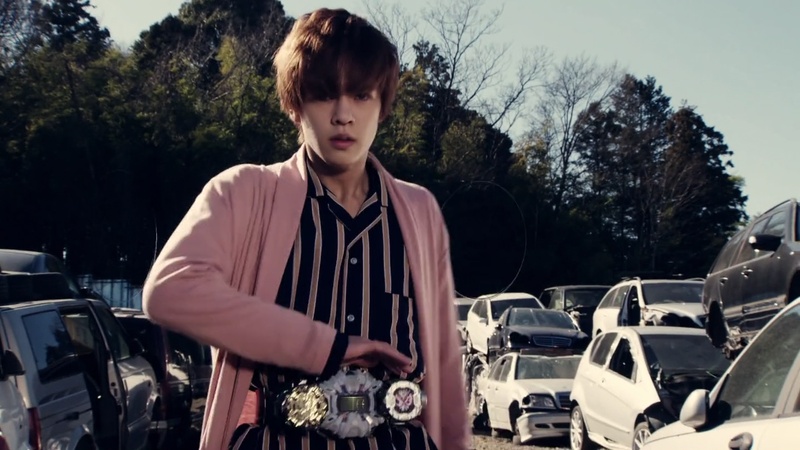 He turns to look at Sougo and wonders if he should take the Kikai Watch. Seeing the hesitation, Tsukuyomi decides to run to Another Kikai herself. But Ora has an epiphany and freezes time. She decides to take the Kikai Watch herself. She enters the password and it is correct. She has the Kikai Watch, activates it and shoves it into Heure. Heure again becomes Another Kikai. With everyone else still frozen, he knocks ShiroWoz aside and sends missiles straight at Tsukuyomi, killing her instantly. Geiz screams. Geiz regains consciousness just a few minutes before. Tsukuyomi has just arrived again with the correct password. Geiz wonders what’s happened, but Sougo says he’s turned back time again. Sougo tells Geiz not to hesitate, otherwise the future he just experienced will actually happen. Geiz runs toward Another Kikai. 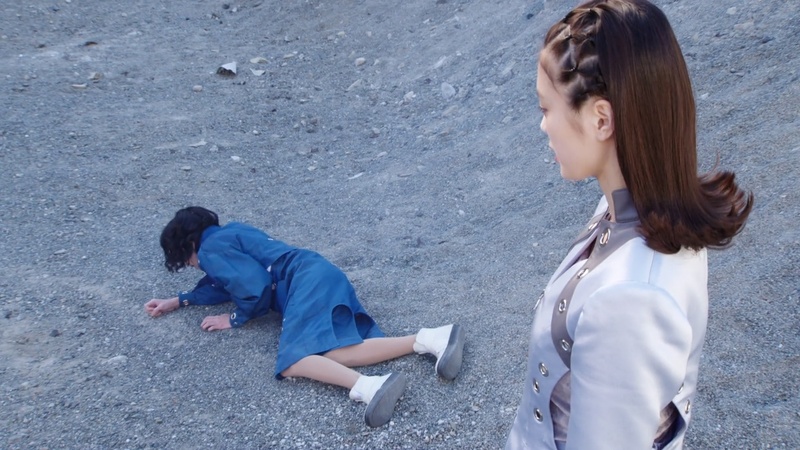 Ora motions to freeze time, but Sougo shoots at her to stop her. 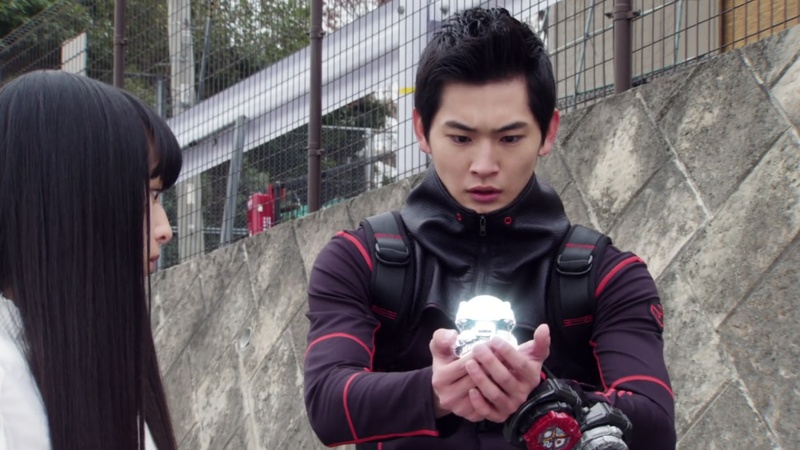 While ShiroWoz has Another Kikai in his hold, Geiz is able to enter the password. The Kikai Watch appears on ShiroWoz’s wrist and he uses it to uphenshin to Futureing Kikai. Woz sends some wrenches at nearby workers and he is able to control them as his foot soldiers. That allows him to get the upper hand on Another Kikai and eventually allow him to deliver a finisher to take care of Another Kikai for good. Heure emerges from the flames. Ora says this has been a waste of her and Schwartz’s setup. She walks away and orders Heure to hurry up and come with. Heure gives her a look, but he follows. 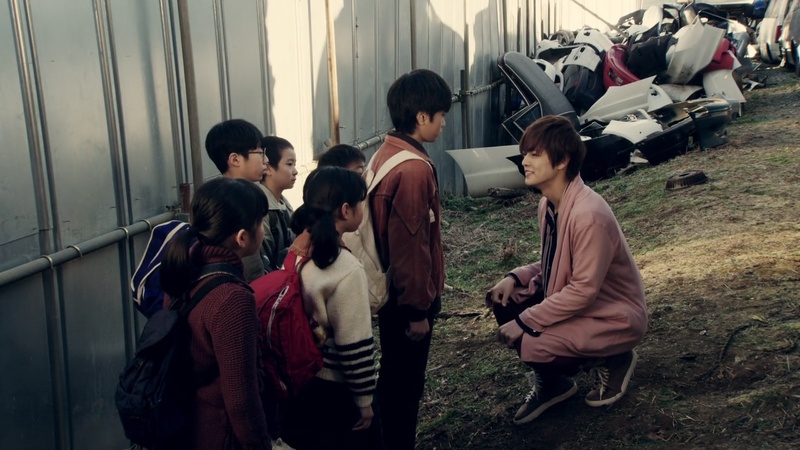 Sougo stands there as ShiroWoz tells Geiz and Tsukuyomi it’s time for them to go as well. Tsukuyomi leaves first. Geiz looks at Sougo for a little bit before also walking away, leaving Sougo alone in the quarry. Sougo returns to 2121 to enter the “BFF” password into Kikai, returning Rento back to normal. Marco-tachi are excited to see their friend is back. Rento thanks Sougo and says he knew he was his BFF. Sougo asks what he means by that. But Rento and the kids just smile and wave at him. 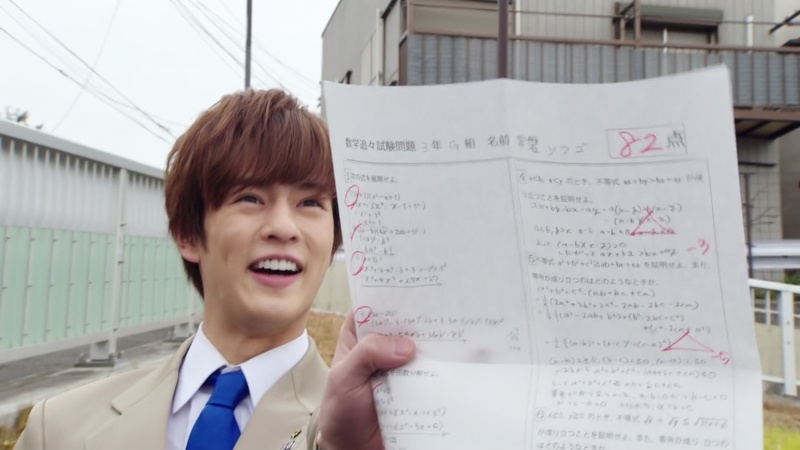 Sougo wakes up at school in the middle of his exam. But once he gets started, he realizes he knows these problems. He ends up getting an 82 on the test and is cleared to graduate. KuroWoz asks why Sougo is so happy and Sougo says the problems were the ones he originally predicted. They head home together. Watching the two, Geiz asks Tsukuyomi how she knew of the real password. She explains that it was on the robot Sougo played with as a kid. She points out Another Kikai did not come from a contract holder. So Sougo’s power isn’t just merely predicting the future. He may be able to create the future he dreams or imagines. Tsukuyomi says she is afraid. ShiroWoz appears and warns his savior that Oma Day is fast approaching. 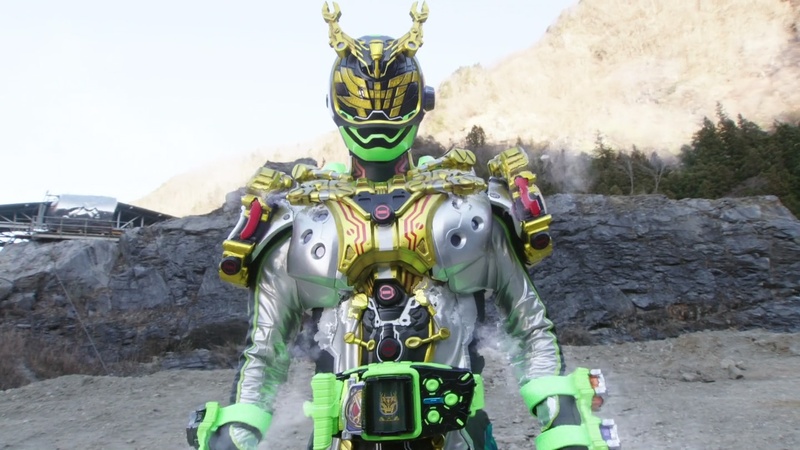 He holds out the Shinobi, Quiz and Kikai Watches and they fuse together into a new Watch. The power of Geiz Revive. On the other side of town, Schwartz holds an Another Zi-O Watch and says it’s time for him to use it. So this was an eventful episode that gave us a bit of insight into our characters. I was most interested in Uncle Junichiro and Tsukuyomi’s conversation about Sougo. It’s very interesting to hear about Sougo growing up with no friends and maybe being a little lonely. I know someone who can be lonely or even just introverted can instead have very creative minds. They fill their time with exploring their imaginations instead. That could be very important with Sougo moving forward and maybe help in explaining how he could possibly eventually become Oma Zi-O. Uncle Junichiro’s revelation also adds an extra layer to how Sougo treats and regards Geiz and Tsukuyomi. Though we’ve seen Sougo friendly with his classmates at school, perhaps he never really had close friends he can readily hang out with or experience things with. But he does now with Geiz and Tsukuyomi and we’ve seen he cherishes what they have. 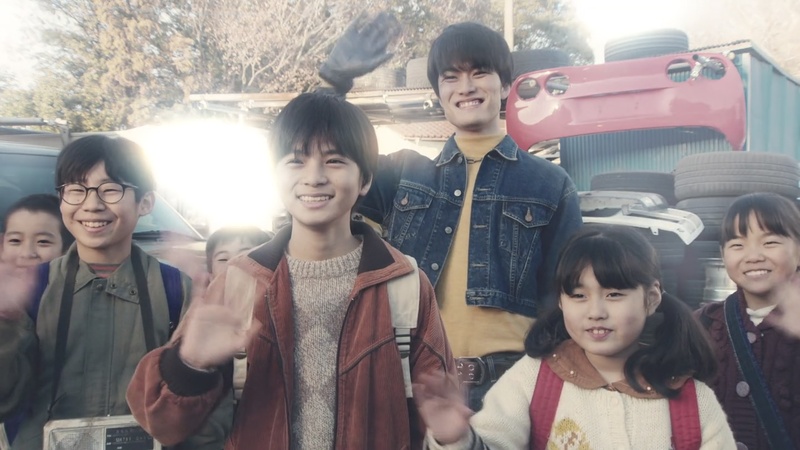 That Rento and the kids, who we assume were all in Sougo’s mind, were welcoming to him as a friend really illustrates what Sougo must be feeling. We’ve seen Tsukuyomi go from being a big believer in Sougo to now being downright afraid of him. Meanwhile, Geiz has gone from wanting to kill Sougo to wanting to save him. 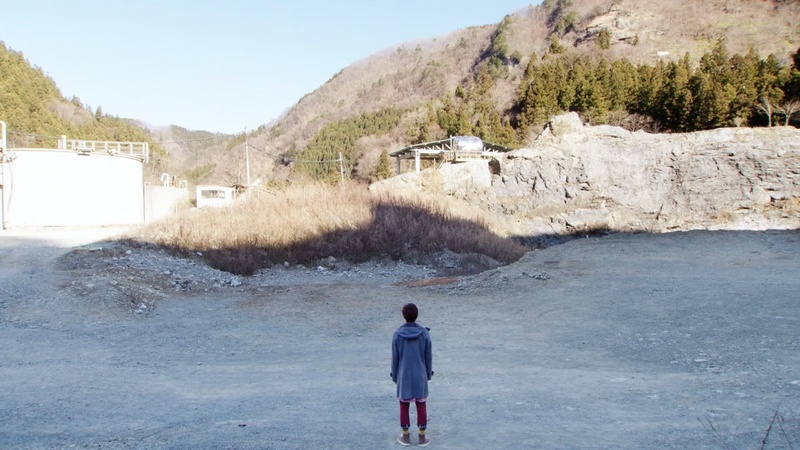 All this really made that shot of Sougo alone in the quarry even that more heartbreaking. Could that shot also be a look into the future as well? Of course, we hope not! 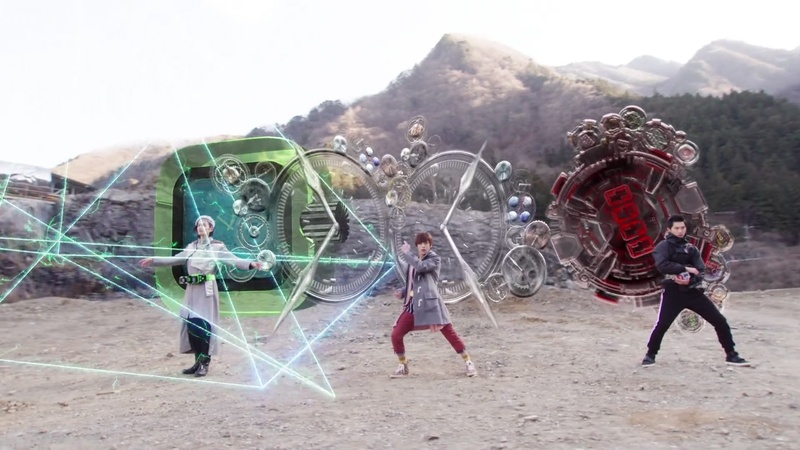 And hope Sougo, Geiz and Tsukuyomi can work together to stop the end of the world of course. The stuff with Schwartz, Ora and Heure was okay. But I can’t really get a feel for whatever’s going on with them until we see more. Overall, a deep episode that very much worked to help fill out Sougo’s character a lot more. Exciting things continue happening as well and I’m enjoying it all. And we saw a little more focus on Sougo’s childhood. Perhabs it is possibble like you wrote, Sougo can be Oma Zi-O through his lonely and sadness. Where have I heard this? 🙂 I really hope Sougo, Geiz and Tsukuyomi can work together again. It seems to me Heure changed a little after this battle. Overall, I like this episode. We can wait for next time, when Another Zi-O and rest of Another Riders rampage! I am still mad at Tsukuyomi though. LOL! Even after hearing his backstory, she is still afraid of him? Like what? And I mean the Ultimate Irony here is that if it wasn’t for her and Geiz, Sougo would probably just be a regular boy and not Oma Zi-O. Although, I do enjoy that Geiz is struggling. And the Time Jackers motives still remain a mystery. I was kinda hoping that Heure being Another Kikai would have given more backstory to the Timejackers. But even if that wasn’t the case, the twist reveal in this arc was bigger than the one in Zi-O II’s debut. No wonder Tsukuyomi is horrified enough to switch sides. If her theory is correct, Sougo at this point isn’t a king but a GOD. And their arrival was pretty much the catalyst to awaken his powers, contrary to what she hoped for. Oh, and that doesn’t even end there. Considering the implication of him being possibly the one who directly created Kikai’s and the other future riders’ (or even White Woz’s) timelines, it is even possible that he willed Geiz’s and Tsukuyomi’s decision to travel back in time to “stop” him in the first place.